DAS systems are an important asset to Mobile Network Operators (MNO’s) as they have been part of network planning for more than 20 years, providing indoor coverage in areas such as transport hubs, malls and stadiums. 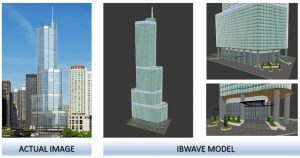 iBwave is an industry standard indoor wireless design software developed in 2003 and used by over 3000 professionals in 100 different countries. It is the first choice design software in Australia for companies such as Kordia, Huawei, CAM and RFI. Maser’s iBwave design partner is RAN Wireless. RAN Wireless focus on DAS designs and with their team of 24 engineers, have done 250+ iBwaves designs including 15+ stadiums, high rise, hospitals, hotels, racetracks and more across the USA, UK and the Middle East. Maser, working closely with RAN Wireless, can provide round the clock productivity with a dedicated team of engineers. If iBwave is used to its full potential, the results can be outstanding. Traditional 2D IBC designs which are based on estimated coverage radius will get the job done, however Maser with its partner RAN Wireless, can support our customers with 3D building models which will create more accurate coverage, quality and interference predictions faster and at a lower cost. This could assist our existing IBC design & build vendors to increase the productivity of DAS designs.